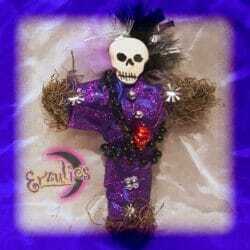 Voodoo Dolls and Magical New Orleans Voodoo Dolls! 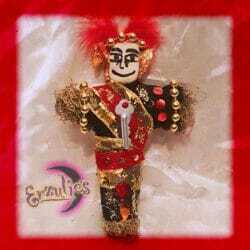 Exquisite New Orleans Voodoo Dolls of the Lwa, handcrafted by our favorite practitioners exclusively at Erzulie’s Voodoo in New Orleans! 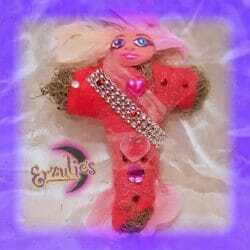 These powerful Voodoo dolls are crafted like all of our authentic Voodoo Dolls, in the sense of being a powerful instrument for invoking Spirit; a focus of energy or nexus of the ancient spirit itself which must be carefully handcrafted by an initiated priest or priestess in order to draw upon the power of these divine energies. 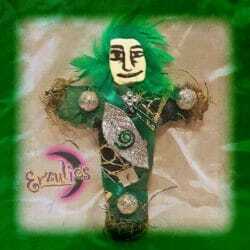 These sacred Voodoo Dolls and New Orleans Voodoo Dolls of the Lwa are a conduit to the spirit in which it was crafted in honor of, to be used as both a scared amulet and powerful talisman. 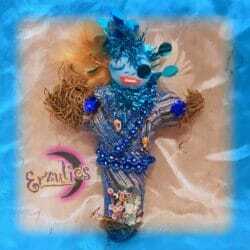 Our New Voodoo Dolls are not like “Hollywood” dolls; you do not use these sacred Voodoo Dolls to harm others or “stick” pins into the Voodoo doll, they are exquisitely handcrafted to enhance your personal connection to the Divine Voodoo Spirits in the New Orleans Voodoo tradition. Like with all authentic Voodoo dolls, fetishes, amulets and talismans, these magical New Orleans Voodoo dolls are carefully hand-sculpted with baked clays and porcelains, each face is lovingly hand-painted and hand-stitched with the finest fabrics, semi-precious gemstones, real gold and silver strands, wrapped around sacred roots, herbs, stones, feathers, precious oils and powerful fetishes.